The trekking tent Trek It Easy is the newest tent from Outdoorer. It is double-walled and holds 1-2 people. In order to have enough space for your luggage, it is equipped with a large apse. To prevent moisture from entering, even in heavy rain, the seams are taped and are thus absolutely watertight. 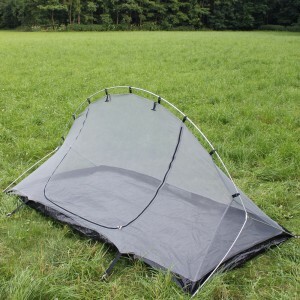 Its unique rod which is forked at both ends makes it almost as quick to set up as a pop-up tent. With this tent you are perfectly equipped to experience unforgettable treks. The trekking tent Trek It Easy is available at Amazon. Experienced trekking fans know how important it is to have the right sort of equipment. 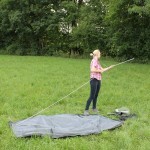 With the trekking tent Trek It Easy much importance has been attached to ensuring a small pack size and light weight. At 43 x 17 x 14 cm, it can be quickly stowed away in a backpack or attached to the outside of one. So that it is also easy to transport, it weighs only 2.2 kg incl. transport bag. WIf the tent is your only protection from the rain, you have to be able to rely on the material 100%. The light trekking tent Trek It Easy is made of polyester with a 5,000 mm water column. 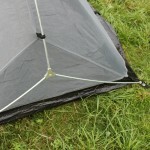 So that no moisture can get into the tent through the seams, all the seams are taped. This means that a waterproof tape is applied to the seam at a high heat. While no moisture can penetrate the material used for the outer tent, this is not an issue for the inner tent and therefore breathable polyester is used for this. 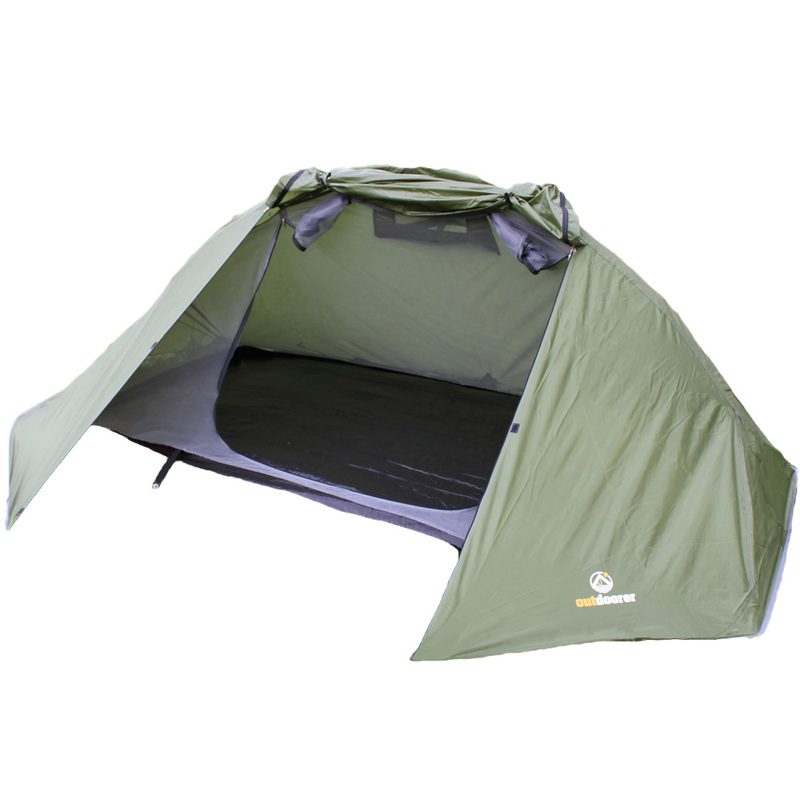 The fine pores allow moist exhaled air to flow through the inner tent to the outside so the body stays dry at night. On hot days, closing only the inner tent provides even better ventilation. 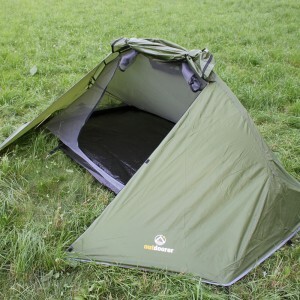 A good trekking tent has a large apse for luggage, shoes, camping utensils, etc. The apse on the light trekking tent Trek It Easy is 60 x 250 cm in size. This will certainly give you plenty of storage space. Often people who enjoy trekking find a variety of linkage rods a tricky puzzle to solve. What rod needs to be threaded through what mount so that everything is stable? 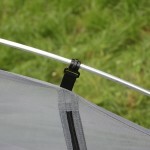 The linkage of the trekking tent Trek It Easy of Outdoorer consists of just one forked rod. This completely avoids confusion. Detailed assembly instructions are included. Where can you buy the Trek It Easy? You can order the trekking tent Trek It Easy via Amazon.